Google rolls out two large algo updates. Google has not yet confirmed, but it looks like two updates were rolled out on September first. The first was an update to Google’s core search ranking. The update applied to all industries rather than a niche. The other change affected local pack ranking. The local update was a quality update, with Google removing a lot of spammy local results. Some webmasters believe that the update was an update to the local ranking algorithm that affected more than just quality. John Mueller confirmed in a Google+ hangout that the updates over the weekend were not Penguin related. Google has not yet confirmed what the updates were related to. Google recommends the forecasting tool (for those who lost the keyword planner). Cassie from Google provided a recommendation for those who lost access to the Adwords keyword planner tool. She recommended using the forecasting tool for collecting keyword data. She even lays out steps for how to access the tool and collect keyword data. A more detailed step-by-step guide can also be found here. 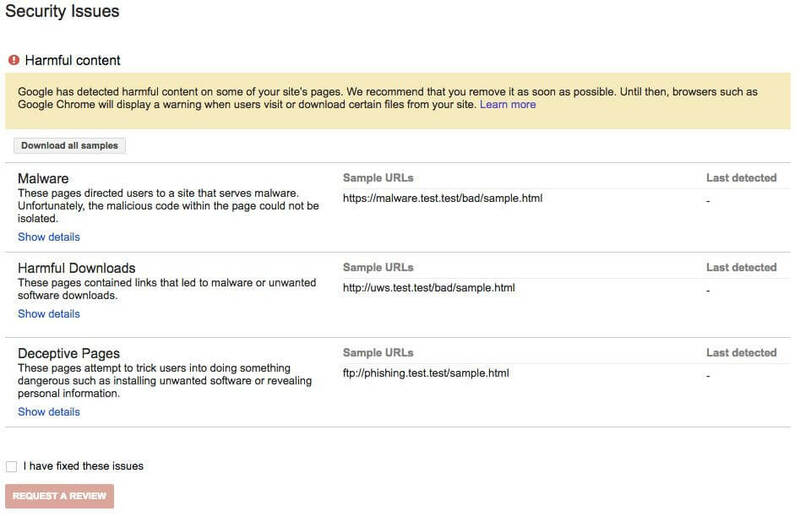 Improved Security Issues reports in Google Search Console. Google updated the Search Issues report within the Google Search Console. The report now provides more specific explanations of the identified security issues. The explanations give more context and detail and can include sample URLS webmasters can check to identify the source of an issue. 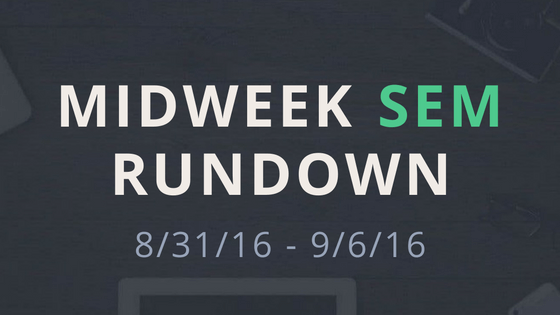 Google Search Console Search Analytics report stuck on August 31. There is an error in the search analytics report within the Google Search Console. Data stopped updating on August 31, 2016. Google is aware of the issue and currently working on adding the missing data. It was announced a couple weeks back that Google’s Structured Data Tool would soon support Schema v3.1. Now it officially does. Google Android allows for “in app” indexation. Google announced “in app” indexation on Android. Developers can integrate their apps to allow Google to index locally personal content without Wifi. This allows for content from within the app to rank for relevant queries in the Google app on Android or in the “in Apps” tab. Google Rolls out Search Live Coverage pilot. Search live coverage allows publishers to submit breaking content (related to elections, sports, etc.) to Google in real time. The pilot program is open to selected publishers. You can apply here. Live coverage will help Google surface new, breaking content on their SERP faster than their traditional crawling methods. Interested publishers must be using AMP HTML and supply an Atom-based feed. Google testing Webmaster Hangouts over YouTube Live. John Mueller is looking for another format to hold the weekly webmaster hangouts. Mueller will be manipulating the Google Slides Q&A along with YouTube Live to continue answering webmasters’ questions. 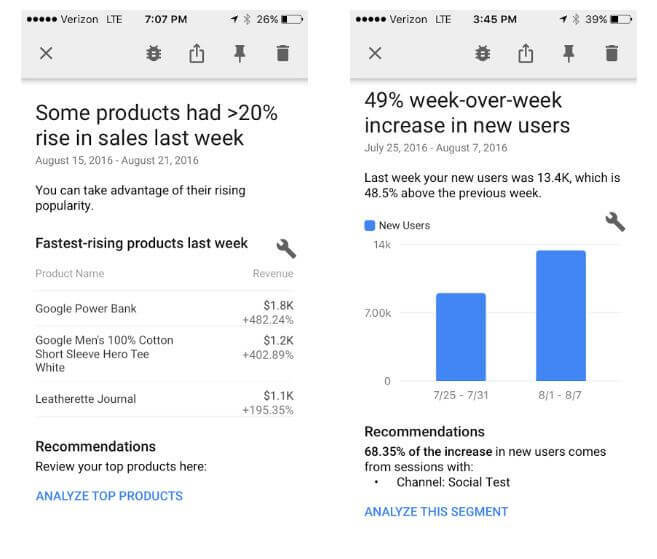 Google adds automated insights to Google Analytics apps. Google has added automated insights that display on the Assistant screen of the Google Analytics apps for both iOS and Android. The insights point out both good and bad changes in data to make users aware of potential successes or issues. These notifications can include changes in conversion rate, average session duration, performance based on device and based on screen resolution. The insights also come with a ‘view more details’ option, which provides additional data and segmentation on the topic. On Monday, Google banned acuun.com, the homepage of Acuun Media. The site is no longer ranking for its name in Google search. Acuun Media is one of the largest television networks in Turkey. What Acuun’s exact offense was is unclear. Apple removing broken apps from its app store. Apple will be cleaning up the 2+ million apps in its store. Apple will be sending out notifications to developers for apps that are broken, neglected or no longer comply with review guidelines. Developers with have a 30-day deadline to update their app or face its removal. Any apps that crash on launch will be immediately removed. Current users of non-compliant apps will not be affected. Apple will also target apps that use extremely long names in an attempt to boost their visibility in the App Store search results. Over two-thirds of digital media time is now mobile. 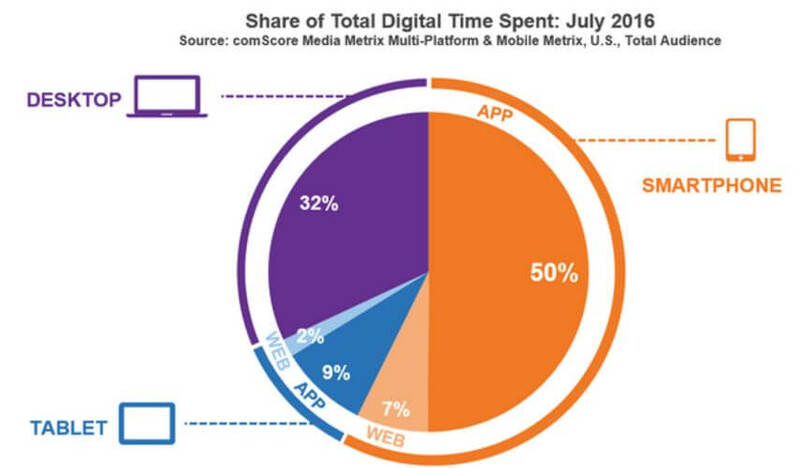 Comscore released its July data, which showed that smartphone apps now account for 50 percent of all digital media time (up from 44 percent last year). Total digital media time spent on mobile was 68 percent with total time spent on desktop being only 32 percent. Mobile continues to dominate and webmasters and marketers must place their primary focus there. Don’t neglect desktop, but don’t spend too much time there either. Google’s search share increases incrementally. Google has seen a small but continuous increase of its search market share over the past year. Last year they had 79.17% market share in desktop search. That has increased to 79.88%. Google also dominates the mobile search market with 94.53% of the market. Google’s increased share has come at the expense of its competitors, which saw similarly small drops. Google tests click to call on organic search results. Google has been testing a variation of their organic search results that includes a click-to-call button directly beneath individual mobile search results. The phone number is most likely pulled from the organization markup on homepage of the search result. The click-to-call option looks reminiscent of the same Adwords feature. Google testing additional spacing in Mobile SERPs. Google continually runs tests in their search results and they have recently begun testing a cleaner search results page. The number of results info for the search is removed from the top of the page and increased space is placed between the search results. The additional space pushes results farther down the page and out of the user’s view. Google Adwords adds account-level sitelinks. Google Rolling out Adwords Campaign Groups. 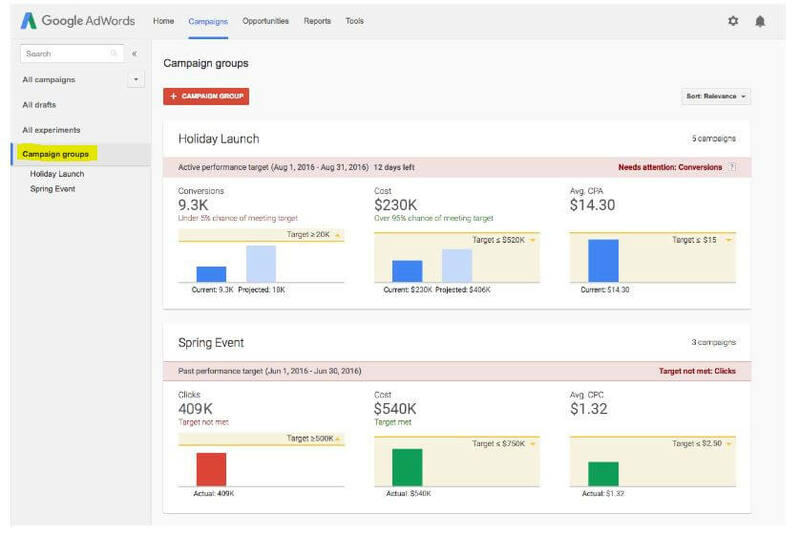 Google announced the roll out of a new Adwords feature called Campaign Groups. Campaign Groups allow advertisers to group campaigns with common targets to monitor performance. Advertisers can select from clicks, conversion, spend, average CPC or average CPA target. The feature is found on the left sidebar of Adwords. Campaign groups is only for monitoring and does not have any management functionality. New design & feed rules for Google Merchant Center. Google announced an update to the Merchant Center feed rules and design of Merchant Center. Merchant Center was built as a self-service tool to allow advertisers to transform existing data from their inventory management systems into a format appropriate for Google Shopping. The recent updates include the ability to partially change or update existing values, to create new values by combining static values and to extract values from other attribute values. Along with update feed rules, Google also updated the look and navigation of Merchant Center, making it easier for advertisers to use. Bug in Google Analytics showing ‘Not Set’ in Adwords Reporting. A bug is affecting a large number of Google Analytics users. In the Adwords reporting section of GA, campaign and revenue tracking are being labeled ‘not set’. Google has responded that their technical team is working on the problem. Google testing mobile Shop the Look ads. Google is adding a new format, to the mobile shopping experience, called shop the look. The new format will appear on broad queries like “wedding outfit”. The ‘looks’ provided come from a network of partners that include Polyvore, Curalate and LIKEtoKNOW.it. After users click on a look, they see product listing ads with the exact or similar products as those in the image. The displayed product listing ads are powered by Shopping campaigns. Advertisers must have their Shopping campaigns optimized for mobile to be included. Advertisers only pay when their ad is clicked on. Adwords report editor adds additional data. Google announced that they added additional data in the Adwords report editor. This includes data in shopping, video campaigns, labels and final URLs. Google’s Ad Grantspro program no longer accepting applications. Grantspro was a program that offered up to $40,000 per month of Adwords spend as search advertising grants. This is part of Google’s effort to wind down the Grantspro program. New applicants will not be accepted, however, approved participants can continue to use the program. Adblocking continually on the rise. Blockmetry produces a ‘weather report,’ which displays the webpages subject to adblock and analytics blocking. The weather report shows that worldwide ad blocking (by page view) has now reached 32.4 percent with analytics blocking at 5.2 percent. Individual country ad blocking greatly varies. The United States sits at 31.5 percent while Norway has 50.7 percent ad blocking on web pages. Google My Business adds ability to add/remove managers & owners. Google My Business has added the ability to add multiple owners to individual locations or businesses. Listing owners can invite additional users to own or manage listings, without having to share personal account information. Owners control who is added to a listing, managers can only remove their access. The new feature can be found in the ‘manage the location’ in Google My Business. Google posted a help document with more detailed instructions. New Access Map View in Google My Business. Google My Business released a new feature, “Access Map View”. 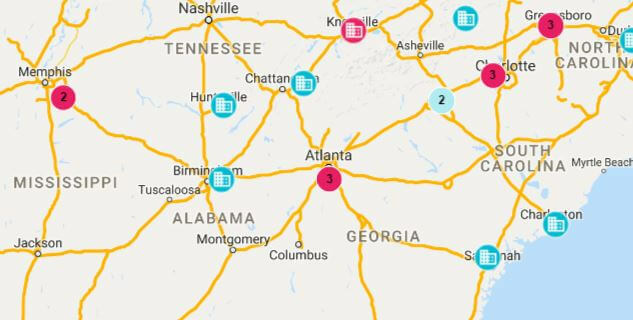 Access Map View allows users to see all the businesses they manage on a single map. A red or blue icon on the map indicates a business. Clicking on the icons shows users listing information as well as an edit option. The new feature is found in Google My Business by clicking on the map view icon. Google selects “areas of interest” for users. There were a number of changes in the update to Google Maps. One of the more influential changes in the update is Google’s highlighting new “areas of interest”. The areas of interest are highlighted in orange (everything else is in white) and contain information when tapped by the user. Areas of interest are chosen by Google’s algorithm. These areas of interest will affect where users end up going and which local businesses they choose to visit. Google Update affects local ranking results. Google rolled out a large update over the weekend that consisted of two parts. The first part appears to have affected the core search algorithm. The second part was targeted at the local search results. Based on the forum chatter, the update probably targets spammy results in the local results. Google sometimes displaying 2-pack local results. Jennifer Slegg, posted screenshots of a couple queries displaying 2-packs rather than 3-packs in the local search results. This may be a test, or individual anomalies. Google seems to prefer 3-packs but may display 2-packs when no relevant third option is present. Google testing local knowledge panel on desktop. Google has been testing the mobile-based format of the knowledge panel on desktop search result. The new format provides more room for photos and places them in a carousel. The knowledge panel still displays on the right of the search results, but the option to favorite the business is removed.